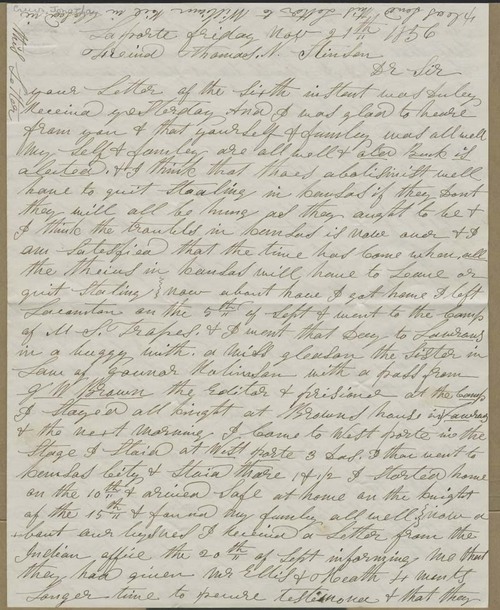 Jonathan Crews, writing from LaPorte, Indiana, expressed strong proslavery views on the situation in Kansas. Crews described his trip home to Indiana from Kansas and discussed several Indiana court cases involving his business interests. People - Notable Kansans - Stinson, Thomas N.